Gastroesphageal Reflux Disease: This course is designed to meet the training requirements for CNA's working in the ALF & nursing, or skilled nursing homes. Subjects covered: Burning in the chest is sometimes known as "heartburn". In the US, more than 7 million people suffer from persistent and chronic heartburn. More frequent in adults over age 40. This course will inform and educate you on the chronic problem of gastroesphageal reflux disease commonly known as GERD. Introduction to Emphysema: This course is designed to meet the training requirements for CNA's working in the ALF & nursing, or skilled nursing homes. Subjects covered: Participants should be able to understand the disease process, signs and symptoms, diagnostic tests, misconceptions, treatment, therapy, and prognosis. Subjects covered: Confidentiality preserves the privacy of the persons in your care by holding all information related to them in strict confidence for use only by the team of care providers. This includes information obtained verbally or for resident/client records. Keep yourself out of trouble by learning what information is allowed to be shared, and what information may not. Nutrition in the elder population To provide skill, knowledge and understanding in the planning, preparation and delivery of nutritional meals that will meet or exceed the daily dietary guidelines. Subjects covered: Essential nutrients, Food groups, Dietary assistance, Food handling, and Meal plans. 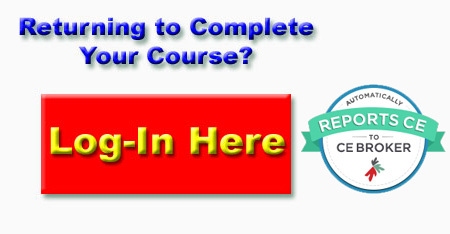 This course meets the guidelines for Florida board of Nursing, CNA council, and state laws. Personal Care for the long term care resident: This course is designed to meet the training requirements for CNA's working in the ALF & nursing, or skilled nursing homes. Subjects covered: Personal care service means assistance with activities of daily living that can be performed by persons without professional skills or professional training. These include the coordination of intermittent nursing services by a nurse who is licensed in the state the care is given. 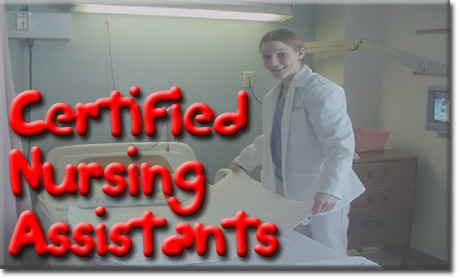 Know what personal care means for you in the CNA field. Subjects covered: Identify and prevent the top 5 injuries that affect those in elder care. Course covers fire safety and the appropriate actions to take during an evacuation or drill, proper handling of sharps, sharps containers and biohazardous waste, and personal safety measures to take to keep yourself safe both at work and away. Protecting yourself from tuberculosis: This course is designed to meet the training requirements for CNA's working in the ALF & nursing, or skilled nursing homes. Subjects covered: Tuberculosis and its' symptoms, differences in TB infection and TB disease, Modes of transmission, issues that confront the healthcare worker, and issues of policy and procedure that reduce the chances of exposure to TB at work. Urinary tract infections are a serious health problem affecting millions of people each year. This course is designed to meet the in-service training requirements for CNAs as required by your state license board. Subjects covered: Definitions, Residents who are most susceptible, Prevention, Signs & symptoms, Tests to determine if you have a UTI, and Medications & types of treatments. This course meets the guidelines for Florida board of Nursing, CNA council, and state laws.